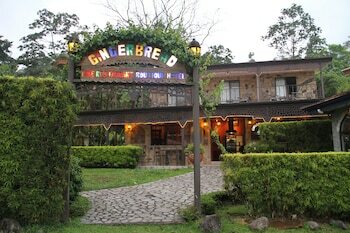 When you stay at Gingerbread Hotel and Restaurant in Arenal, you'll be steps from Lake Arenal. A roundtrip airport shuttle is provided for a surcharge (available 24 hours), and free self parking is available onsite. When you stay at Finca Mei Tai Well Being Lodge in Bijagua, you'll be on a lake and within the vicinity of Miravalles Volcano. Free self parking is available onsite. Located in Javilla, Cristal Azul is by the ocean, within a 10-minute drive of San Miguel Beach and Playa Coyote. The front desk is staffed during limited hours. Free self parking is available onsite. Hotel La Pradera is a family establishment that wants to offer guests a completely grateful and memorable lodging.